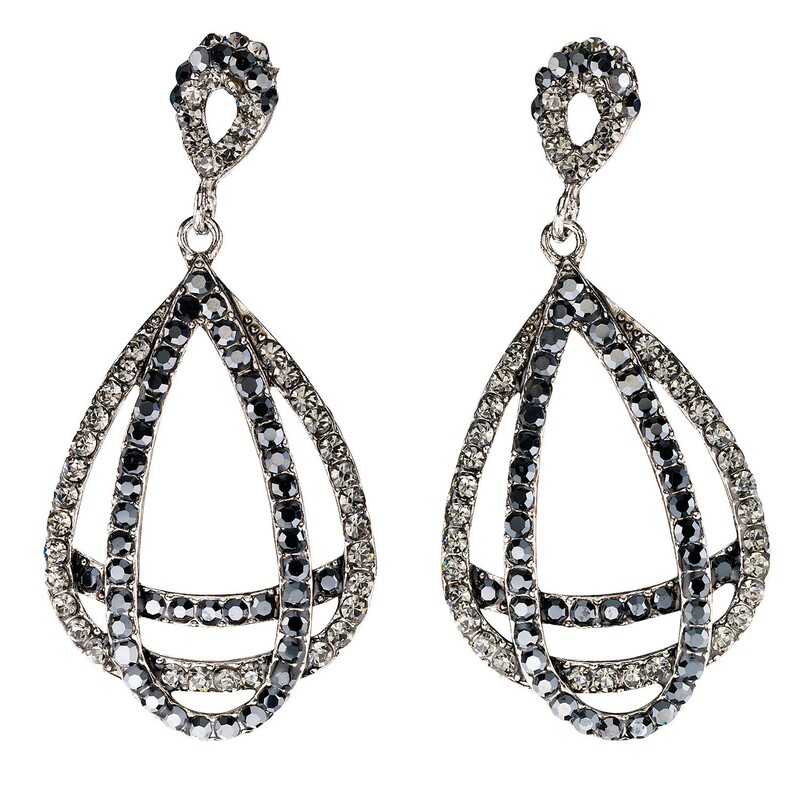 Gemini London Jewellery's Entwined Double Pear Drop, Black and Black Diamond Swarovski Crystal Earrings. Nickel free base metal rhodium plated finished in an antique effect. 67mm in length so quite a statement piece. 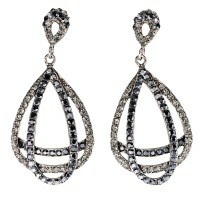 These Gemini London Jewellery's entwined pear drop crystal earrings would look great for a ball or a special night out. The earrings are made with black and black diamond Swarovski crystals with a drop length of 67mm and the width of 30mm at the widest part. Made with nickel safe base metal with rhodium antique plating. Comes with a black gift box and would be a lovely gift. UK dispatch and a four week returns policy. All measurements are approximates.